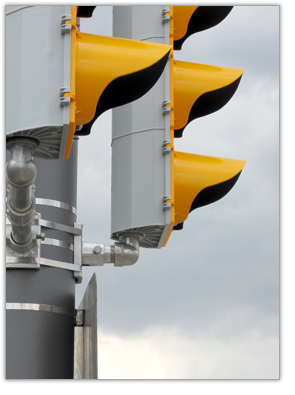 Established in 1985, SENTINEL Pole & Traffic Equipment Limited is a leading supplier of Traffic and Roadway Lighting products and related accessories. A supplier of choice to Provincial Governments, Regional Municipalities, Cities, Counties and Maintenance Contractors, we carry a large inventory of high quality items such as Poles, Arms, Mounting Hardware, Sign and Signal Mounting Brackets, and a variety of other custom products to meet your needs. We are members of the International Municipal Signal Association (IMSA) and suppliers of OPS approved products. We continuously research and update our products to ensure that we continue to meet or exceed applicable standards, and to ensure that we continue to effectively meet the changing business needs of our customers.